Are you dead broke? Eating Ramen noodles? Trying desperately to make a few bucks off of your labor of love in the form of an indie game? We’ve all been at the point of no return in our development where we want to make some cash off of our games, but we’re not exactly sure the best route. In fact sometimes, we’re not even aware of all the options. The question comes up a lot. I get emails all the time asking what the best way to monetize a game is, or should someone go paid or freemium. The truth is, you should try a bunch of different things. What works for your game might not work for others, and vice versa. And if you think about it…if your plan is to put your game up on a game portal, then push traffic to it, that’s not much of a marketing plan. I realized that most people we’rent really asking how to market their game, they were asking how they could make money from their game. And today, you’re in luck. I’ve compiled my list of different ways that you can monetize and make money off of your game so that you’ll never question your options again. 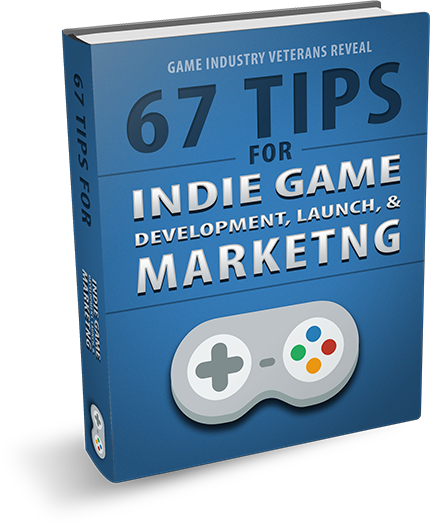 Here are 59 ways to monetize your indie game. In-game currency. We’ve all seen the mobile apps or Facebook games that use premium currency. The premise is simple: use a basic earnable currency in your game, and then have a separate purchasable currency that players can buy select items with. Consumables. One of the best ways to earn consistent income. When you buy something you own forever, there’s no need to buy it again. Consumables though, they need to be bought often. Holiday items. Its always better to have an excuse to reach out to your players. Holidays and temporarily available items are a great way to not only remind your players that you exist, but its also a great way to implement scarcity and entice players to buy. Countdown clocks work wonders! Variable rewards. Believe it or not, any time you can randomize rewards for the player, you can significantly increase the desire for the item. Variable rewards create anticipation for the possibility, and studies show that they are significantly more addictive then a clear reward path when it comes to monetization. Unlockable characters. Taking your existing game experience and allowing the player to play through it as a different character can squeeze a little bit more fun out of what would otherwise be a finished game. Giving additional characters a different look, feel, or ability can add to this effect, and make you a little extra cash while you’re at it. Skill Points / customization. Upgrading your skills and customizing your character in most games takes time. Players will pay to reduce the amount of time it takes to upgrade things that they want. Be careful when implementing this in multiplayer games, stray away from pay-to-win. Extra lives/turns. If your game uses turns or lives, when the player fails and is about to start over, offering them an extra turn or life for premium currency is a great option. The key to the free-to-play model is the right purchase at the right time, and this definitely falls into that category. Double XP / Currency. This technically falls into consumables, but I thought it was unique enough to where I should mention it. Having a consumable item in your game that will double XP earned in a certain amount of time, or increase the amount of coins you gain from certain actions can prove to be valuable. There are a lot of players that do not necessarily value other items in the game, but everyone values saving time. Giving them an option to do so is beneficial because some people have more time than money. Limited edition digital items. These items work for the same reason holiday items do, except they don’t require a holiday. Only selling a certain amount of one item means there is not enough for everyone. Any time there is minimal supply of a valued item, demand goes up. Limited edition items are a great way to increase demand and sell more stuff. Offer wall. Selling in-game items or consumables is awesome…but HOW and WHEN you sell them is sometimes more important. Presenting an offer wall at the right time is a really effective way to get people to buy your items. When your player clicks or taps on an item they want that they cannot afford, present an offer wall. When your player goes to play premium content or DLC, present an offer wall. Using an offer as a gateway to content or items significantly increases conversion and helps you make some cash. Banner ads. Probably one of the most implemented types of ads in games, banner ads are just that, a banner across the top or bottom of the screen. Banner ads are a great all around ad type, but they have lost their luster in the past few years. As players grow accustomed to them, they click less. When they click less, that means you make less money. But they are still probably one of the easiest types of ads to implement, especially in mobile games. Full screen / Interstitial ads. These ads take up the entire screen of your game, they only last for short periods, and then they disappear. But unlike persistent banner ads that can fade into the background after consistent use, interstitial ads must be acknowledged before moving on. As a result, they usually pay better. Interstitial ads are best used between levels, or after every few lives at random levels. Video ads. Although they are usually presented as interstitial ads, video ads are distinctly different from other types of ads because they demand a users full attention. If video ads are done well, they also convert better than their static counterparts. They make the most sense between levels or every few lives. Notification ads. Probably the most annoying of all ad types, I’ve added them here to show you all of your options. Notification ads use push notifications to capture a users attention and direct them somewhere. This can be used on mobile to bring users to a specific offer wall or monetizable experience, or android specifically to push notifications directly to other apps or websites. It can also be used on desktop with HTML5 games. Game exit ad. When players are about to leave your game, showing them an ad on their way out is a great practice. think about it, if someone is done playing your game, they are much more likely to click or tap on other entertainment opportunities. Its the perfect time to hit them with an ad for another game. Sponsored games ad / CPI. When you make a game, chances are there are other people that make similar games that would be attractive to your same audience. That is a great opportunity to either make money, or trade promotion with another game maker. A simple option on the menu screen that says “More games” that shows sponsored games or partners games is a great addition. If you advertise another game via an ad network, you make money based on “CPI” which is cost per install. Ads on download. This is one I really don’t see a lot and I’m not sure why. There are services that allow you to earn ad money per link visitor by showing an ad to the user for 5 seconds. These services work great for HTML5 web games or small addictive games. Its a great way to give the game out for free, but still make some money off of it. Advertisement games. You can make games that are advertisements in their entirety with a partnership. Think Burger King’s website or those old Cap’n Crunch games that came in cereal boxes. Partnering with a company to do this takes a lot of initiative and a bit of sales experience, but its easier than it sounds. Sponsored items / characters. This is different from purchasable items in a free-to-play game, because these items would be free to the player. You create a game, say its about riding horses. Then you call up a company like Levi’s jeans, and get them to sponsor an additional horse rider with their logo on it. It works really well with small to medium brands and very niche products. Paid partner game promotions. This is similar to CPI except you go directly to the owner of the game and work out a deal for $X per Y installs/days/eyeballs. This works a lot better with rapidly expanding mobile games, or with smaller games looking to get a foothold. Affiliate offers / Coupons. An affiliate offer is when someone owns a product or service, and you get your user to buy their product or service and earn a commission. Affiliate offers work really well when they are highly targeted. Say, your game is a war simulation game and your affiliate offer is for something very similar, its probably a good fit. If you make a learning game, and your affiliate offers are for education products, probably a good fit. You get the idea. A lot of times these offers can be presented in the form of coupons too, so for example your user can get a free one month trial of Netflix by using your promotion code. That gives them a reward, you get a commission, everybody wins. Free with purchase. This one is simple…if you have other products, services or games, why not throw your game in for free with purchase of something else as a bonus? Extra incentives work just as well as discounts, and they work even better if you throw a deadline on them. Surveys. There are companies out there that will pay you for every person you get to fill out a survey. Its a really cool, unique way to monetize, and depending on your game’s style, it could be a great addition to your business model. Investors. I need to be clear about this, you should never, ever look at investor money as a monetization method on its own. It can however, help you build a better game, pay your bills while you’re making it, and have a knowledgeable partner that can introduce you to some great connections. Because a lot of indies consider being able to pay the bills while making games to be success, I’ve included this here. Indie game bundles. Partnering with one of the many indie bundles out there is a great way to get your game some exposure and make a bit of cash. They usually allow users to pay what they want, and divide the money up among the developers. Its a great way to generate some cash out of an older game of yours, or support a cause you believe in. I wouldn’t recommend it for games still in their launch period though. Licensing. If you make HTML5, native web, or old school flash games, you can license your games to web portals. These guys will pay you a fee up front, usually a few thousand dollars. Then they own specific rights to that game for a set amount of time (usually to generate ad money). White labeling. Similar to licensing, white labeling allows you to make a chunk of money up front from a partner, but they only get one renamed/re-skinned copy of the game. White labeling usually only allows the partner to use their version of the game for a specific purpose (like an event) and as far as everyone else knows, they made the game. Plain old paid game. Nothing fancy here. You put your game up for sale, someone gives you money, and they get a download. This applies to custom sales on your website, or adding your game to a marketplace like Steam. Multiple game portals. Like a plain old game, except believe it or not, most developers forget to put their game on more than one portal. Steam is great, but there are a ton of other distribution platforms. And the more eyeballs the better, right? This especially applies to HTML5 and web games, there are a ton of places to put those these days. Pay to remove ads. We see this a lot in mobile, The free version has ads, and you can pay $1.00 or something to remove ads permanently. Works really well with high score based games, or games that have a lot of replay value. Premium Version. Selling a premium version of your game is similar to having players pay to remove ads, except they would pay to unlock premium features or more storage space or something, instead of removing the ad annoyance. Works best with apps or functional software, but I’ve seen it work well with games. This is often called “Freemium” where the base game is free, but you pay for the premium version. Additional paid content / DLC. This one is super common, especially with console and PC games. Your game gets launched, and you charge players for new content, story lines, weapons, gear etc. This is the most common form of monetization post-launch. Episodic paid content. Similar to DLC, except you sell the game in chunks. Instead of one $20 game, you might have 5 episodes at $4 each. Works really well for story and adventure games that have very high retention. Sell your source code. A lot of developers make passion projects that tend to be very unique and niche. Source code for those games don’t tend to sell well. But if you make arcade-like games or casual mobile games, you can make very good money by selling your source code to others and allowing them to publish their own versions of your games. There are marketplaces that you can list your code for sale, an it works just like any other internet transaction. Subscriptions. Bigger MMO games or games with exceptional retention numbers stick to this method to make money. If people love your game, and they play it consistently, subscriptions may be a good idea. Your game could require a subscription to play, or it could use a hybrid freemium/subscription model where its free to play, but subscriptions get you extra content/perks/gear. Preorders / crowd funding. Like getting investors, I wouldn’t really consider this monetization of your game by itself. But like I said, if you consider paying your bills while you make your dream game, this works. Preorders and crowd funding campaigns work really well to sell things ahead of time and make you some cash, just make sure that you deliver. Multiple payment methods. Bitcoin / PayPal / Apple Pay / Google Wallet – The ways you take payments are one of the most underused yet effective methods of increasing conversion. Essentially, the easier it is to pay you, the more likely someone is to actually make that leap. Not a monetization method on its own per say, but still very important. Carrier billing. Similar to multiple payment methods, except this is specifically for mobile and much more effective. Carrier billing is even easier than logging into accounts or adding your information. It is also effective in other countries like Brazil where it is common for used to not have credit cards. Vouchers / Gift Certificates. Allowing users to purchase time/coins/lives for their friends or family in the form of a voucher is a great way to make a little extra cash with whatever your business model is. Your game has to be good and popular to get this working, but once you do its really effective. This can even span across multiple games if you’ve built up a library. Free trial / demo. This one I hardly see at all in the game industry: actually giving a free trial period or demo to the user with an option to purchase. This works best if you take their credit card first, and then charge automatically after the trial period, but that’s not necessarily required. You see this a lot with MMO games that charge subscriptions fees/ Their free trial requires your credit card, because they auto bill you if you don’t cancel. If you do this of course, it means that you have to have a really great game with a very high stick rate. Email registration. By requiring an email for registration for your game, you gain the ability to directly contact that user. You can monetize this a lot of ways, but the best way is to combine it with other monetization methods like affiliate offers, merchandising, DLC, or future games. SMS marketing. Same as email registration except you now have their phone number. Be careful and ask permission first, as this kind of marketing can get you in hot water very quickly if you use it wrong. But if you use it right, it can be extremely effective, as SMS messages have 90%+ open rate. Sell your data. User information like emails and phone numbers of targeted groups are very valuable to companies targeting the same demographic, or other games that want more players. You can make a deal to sell the data directly. Rent out user access. Instead of selling the data (and sometimes making users upset in the process) you can give someone access to your user base for a fee. They can pay you to send out an email or text on their behalf, where you promote their game, product or service. Player gifting. When your game revolves around teams or competitive gameplay, having the ability to give your buddy items or resources is a big incentive to actually buy them from you. We all need to make friends, right? Player trading. Same as gifting above, but the more that you can do with items and resources in-game, the more valuable those things become. The more valuable they are, the more likely players are to buy those things for real money. Contests / tournaments. Charging a nominal fee to enter a multiplayer tournament with real world prizes is an extremely under-utilized monetization method. It works very well for the right kind of game, and can be repeated weekly or monthly and players will never get tired of it. Player Bets/ Wagers. Similar to gifting and trading, except this implements skill and competition to incentivize players to buy. If they can bet items on an outcome they control, players are far more likely to stock up on premium gear – both to improve their odds at winning loot and to put up as a wager against that loot. User generated content. Charging for access to a level editor or a portal with all of the user-generated content is a great way to make money with minimal additional effort. You could also give away the content for free to owners of the game, increasing your games playtime, replay value, and sales numbers. Embed socially (like facebook). If you make HTML5 or web games, you can embed them on social platforms now. Social networks like Facebook have very easy to use tools that allow you to embed your games easily and benefit off of their massive player base. This works best when combined with freemium or multiplayer monetization methods. Loss leader funneling. This is a tactic commonly used by department stores and office buildings. They will give away a product (or space) for free or significantly below market value just so that they can advertise that price. Then a bunch of people call or visit, and they tend to buy other things. If you have other games, using one of them as a loss leader to market the other ones, or an incentive to buy other products or services is a great idea. Peripherals / hardware bundles. Some games require their own controller or device to use or play. You can include the game for free if someone buys the hardware. Special boxed editions. If your game is loved by people, coming out with a special edition physical boxed set is a good idea. Either during launch or a year later including DLCs (like a game of the year edition) is a good way to get a few extra bucks out of games that are already selling. Wallpapers. If your game has iconic characters, scenery, or art styles selling wallpapers is a surprisingly underutilized method to make some mulah. This works best for very niche or very stylized games with a small but passionate audience. Ringtones. Similar to wallpapers except for audio. If your game has a very iconic soundtrack (think Hotline Miami), you can sell ringtones of your music to make a little extra money. Again, works best for stylized or niche games with passionate players. Keychains. You can get keychains custom made in bulk for very cheap, and sell them at a decent profit to super fans. Everyone uses keys, why wouldn’t they need a keychain? T-shirts. Even easier to make then keychains, you can use services like spring tee to test demand for your shirts before they even get made. This ensures you wont lost money buying an initial batch. they’re made on demand, and you automatically profit. Branded phone cases. Again, super simple to get custom made, they’re cheap, and they’re loved and used often by almost everyone. If you’ve got lovable characters or great art, this is a fan must-have. Plushies. This works significantly better if your game is designed for kids or plushy lovers. Like Angry Birds, if you’ve got lovable characters, they make great stuffed buddies, and fans love them! And that’s it! There are a ton of ways to monetize your game, so don’t think you can never make money from your indie games. You can, it just takes some work and some experimentation. Keep in mind the platform you’re using and always pay attention to what methods work best with your particular game. Did I miss anything? If I did, or you’ve got any additions for this list, leave me a comment below!